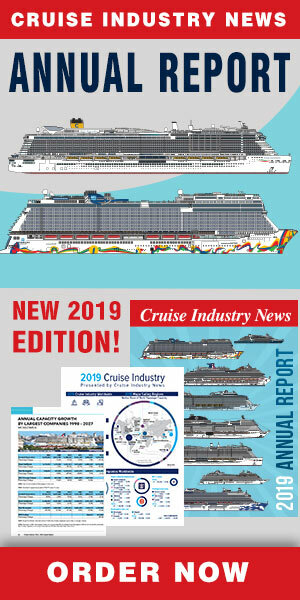 Pullmantur Cruceros has released its 2019 brochure highlighting the brand’s Spanish onboard experience. New offerings include is an itinerary around the British Isles aboard the Zenith. Called the Expedition to the British Islands, the 14-night sailing takes in the coastline of the United Kingdom and Ireland. According to Pullmantur, passengers will be able to explore the oldest Neolithic sites in Europe on the Orkney Islands; look for the Loch Ness Monster; discover Trinity College, the oldest university in Ireland; and visit Liverpool, a city intimately tied to the Beatles and declared a City of Music by UNESCO. This cruise, which starts on July 6, 2019, is roundtrip from Trondheim, Norway, including air from Madrid and Barcelona. Ports of call include Lerwick (Shetland Islands), Invergordon, South Queensferry for Edinburgh, Kirkwall (Orkney Islands), Dublin, Liverpool, Belfast, Greenock for Glasgow and Thorshavn (Faroe Islands). Pullmantur is also continuing its programs elsewhere in Northern Europe, the Mediterranean, from Dubai, and in the Caribbean.